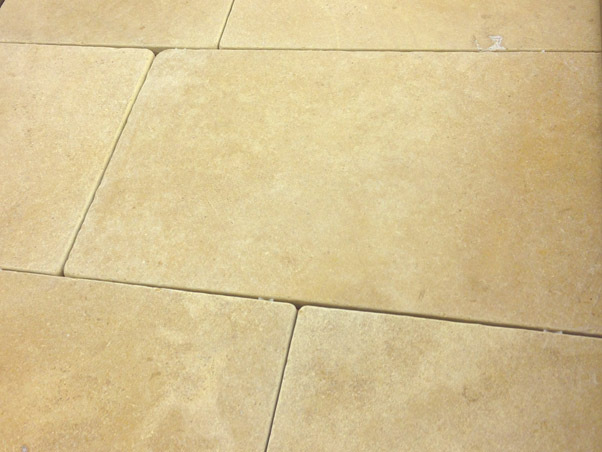 Antique Gold Limestone is a floor which we believe offers exceptional value for money. We have gone to great lengths to get this stone quarried and processed to the quality our customers have come to expect. Not only is it a very hard, naturally dense stone to start with but at 20mm thick this stone is more than capable of being used in high traffic areas of the home such as kitchens and living areas. In addition this stone would easily cope with being used commercially, in a hotel, restaurant, or anywhere open to the public etc. The tumbled finish suits this stone perfectly. It softens the colour, and naturally rounds the edges of each tile. We can supply large quantities of this stone in any size but maintain stocks of Antique Gold in 400 x random length, as well as 400x400mm. Please feel free to call or email with any queries at all, or come and visit us in Harrogate, North Yorkshire.